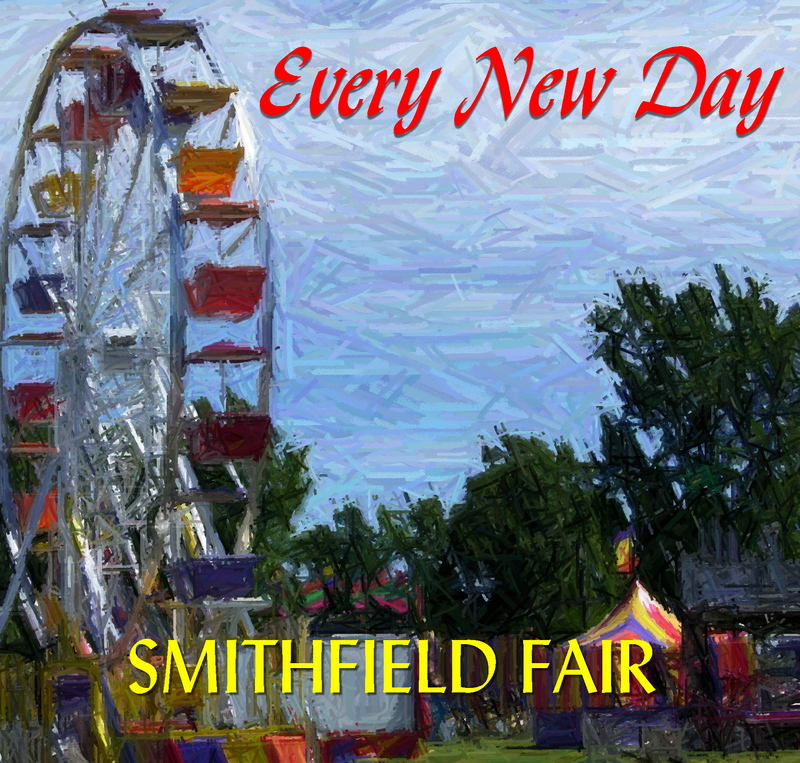 Smithfield Fair celebrates a total history of 38 years with their 27th album. Every New Day could be likened to a trip to the county fair. It is intriguing, magical, colorful, slightly eccentric, full of whimsy and charm, daring, haunting, mystical and a definite adventure. A collection of new band originals and one song (At The Fair)from long-time friend, singer/songwriter John Licari. The included songs look forward hopefully and are performed by Jan, Bob & Dudley-Brian, with J. David Praet as the only guest. The trio's slightly eccentric sense of fun and mystery surface in the lyrics and music, and exhibit the extraordinary dimension of the group's amazing musical sojourn and dedication to original songs, harmony and acoustic instrumentation. Have a Good Time (D-B. Smith), Until I Find You (Jan & D-B. Smith), Every New Day (D-B. Smith), April Fool (Jan Smith), Snow Child (Jan Smith), Just A Lullaby (D-B. Smith), On My Way Back Home (D-B. Smith), Just Because of You (Robert & D-B. Smith), At the Fair (John Licari), Summerville Airfield (D-B. Smith), Song of the Fisherman (D-B. Smith), The Last Rays of Day (D-B. Smith).